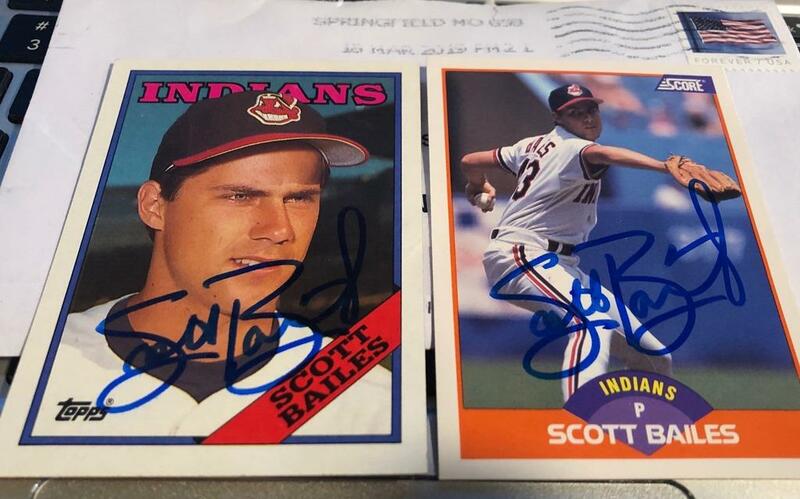 Sent LOR, SASE, 88 Topps, and 89 Score cards to his Springfield, MO address on 3/15/19. Got response 3/21/19, both cards returned, signed in blue. SHARP autograph, and 7 days breaks my record (8 days) for fastest return. Thanks Mr. Bailes!